It’s one thing to be told that a vehicle is safe. It’s another to be shown. 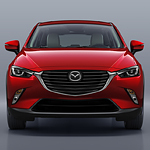 At Budd Baer Mazda, we’ll show you why the Mazda CX-3 is such a popular subcompact SUV. You can feel safer in Washington knowing that the vehicle is packed with safety features. The 2019 Mazda MX-5 RF Miata comes from a long line of powerful and luxurious vehicles. This powerful sports car brings many features to the table that allow it to live up to its illustrious bloodline. These include well-crafted, 2.0L motors as well as special lightweight construction materials. Technology is at the forefront of our lives. The Mazda CX-9 is one of the most popular vehicles on our lot in Washington because of its cutting-edge technological features. This three-row SUV not only has room to accommodate everyone, it also has the latest technology to keep you easily connected and safe when you are on the road. 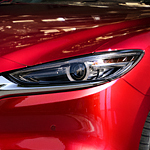 Are you interested in the Mazda CX-5? The CX-5 is a popular crossover SUV at our dealership because it offers consumers numerous perks. It comes loaded with technology features that are among the most up-to-date in the automotive industry. Let's check out a few of its technology features below. 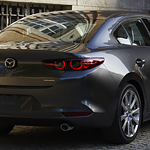 Our crew here at Budd Baer Mazda are excited to spotlight the new Mazda3 sedan. 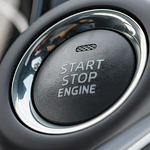 The reason for the growth in popularity of this compact car is due to the abundance of safety features throughout the car that motorists find helpful. 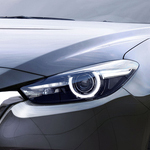 Once you get the new Mazda3 out on the road, the Blind Spot Information System starts monitoring traffic behind you. If another vehicle moves into one of the adjacent lanes in your blind spot, your side mirror flashes so you know which side of the car you'll need to move with caution to change lanes. One of the most important aspects of the ride is the road. When it comes to the Mazda CX-3 there are plenty of features that make it easier for you to keep your eyes on the road. Things can happen very fast on the road while you are driving. 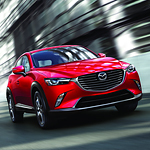 For this reason, we have chosen the 2019 Mazda CX-3 for the features that it has to offer on the road. If you’re going to drive the Mazda MX-5 Miata RF around Washington, it’s important to know about the different performance features. Mazda has done a great job of making some significant enhancements for 2019. The Mazda MX-5 Miata RF delivers a punch on the roads because of the SKYACTIV-G 2.0-liter engine. It provides 181 horsepower and a redline that increases from 7000 RPM to 7500 RPM. If you’re going to be taking a lot of turns, there’s an available limited-slip rear differential that can make a big difference. Why have midsize sedans consistently been one of the most popular types of vehicles on the market for the past decade? Many believe that it is the combination of incredible performance features and a design that works for everyone. That is what excites our team here at Budd Baer Mazda so much about the brand new 2018 Mazda6.